JMC is the construction arm of Kalpataru Group, which offers end-to-end customized solutions with single-source responsibility for executing medium to large sized projects across all types. Equipped with processes, knowledge and able people, JMC has proven its capability for executing all types of projects involving comprehensive construction services that include design, procurement, supply, installation, testing and commissioning etc. JMC has become a renowned name in 'Buildings & Housing' sector, equipped with PAN India reach, knowledge & expertise and experienced manpower to undertake all types of building and housing projects. JMC has been providing world-class infrastructure support to India's growing Industrial, Retail, ITeS and Services sector. While we endavour to build world-class infrastructure, we also believe that our customer needs us in improving quality of human life by building large townships and high-rise apartments with expertise in all round infrastructure and modern amenities. JMC offers end-to-end construction of such projects. Institutions are the real mitochondria of our social ecosystem. Several leading institutions across our country carry emblem of JMC's construction excellence. From top notch management institutes to modest schools, from medical colleges to hostels, JMC has built them all. 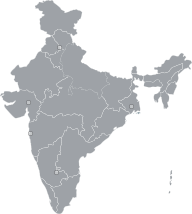 JMC took part in the Indian IT Growth story, by becoming a preferred partner in providing comprehensive construction solutions for IT Parks, office space including high rise towers and green buildings etc. Having built several public projects, from super specialty hospitals, medical colleges to support infra and residential facilities, JMC offers end-to-end solutions across a wide spectrum of healthcare sector. JMC engineers understand key requirements of our customers and end users. Mastering this concept, JMC has constructed a variety of landmark structures in hospitality sector, may they be hotels, malls or other multi-utility places etc. JMC is one of the major contributors in nation building process by developing civil infrastructure projects. Our endeavor of developing of highways to tunnels and bridges to regional development programs, from metro terminals to public transport systems, has improved the quality of human life and had contributed to sustainable economic growth. In addition, JMC is experienced in forming public-private partnerships that bring together the resources of government and the private sector for new projects. This expertise makes us to deliver the best output with lowest possible costs. JMC enhances the efficiency of our economy by providing full range services for a diverse range of technologically challenging and complex infrastructure projects. 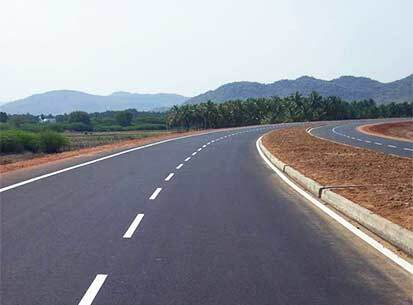 We hold a very strong position in Highways & Roads sector in India, strengthening India’s infrastructural dream. Across the country, JMC has executed some remarkable transportation projects which include Expressways, National Highways, State Highways, flyovers etc. Timely delivery within budgeted targets while adhering to international standards of safety & quality is the core strength of this business vertical. JMC's heritage in structural design and execution distinguishes us as a leader in construction of elevated corridors such as flyovers, bridges etc. The vertical has strong expertise in the design and construction of a wide array of civil structures like flyovers, viaducts, bridges etc. JMC is involved in the construction of metro rail systems, Mass Transit Transportation Systems (MRTS) etc. JMC has contributed significantly to the successful implementation of Delhi Metro and Bangalore Metro projects. JMC has provided services in allied activities - viaduct and station construction etc. Recently, JMC has started taking works in Railways sector. This sector is being envisaged as key factor which can drive the future and enable us participate in development of our country. Industrial growth of any country is reflection of flourishing economy. Every industry relies on the strength of its structural construction for growth. Over the period of time, JMC has geared up to construct industrial units and power plant structures by leveraging expertise in advanced construction methodologies and techniques. 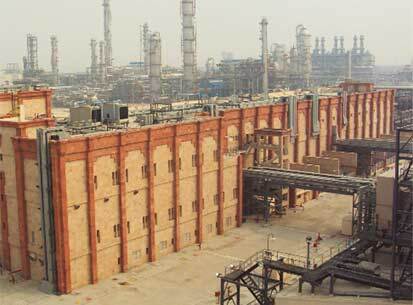 We provide engineering, design, procurement, construction services to manufacturing clients. JMC is gradually becoming a force that brings in speed in our people's lives through automobiles. JMC has successfully collaborated with leading automobile players of our country in construction of their manufacturing set ups. Clients served by JMC represent some of the most diversified food & beverages companies. Experience gained from these projects provides a wide range of capabilities to serve our next clients. This results into customer centric solutions which consistently help our customers meet their business objectives. After serving some of the leading IT giants, JMC has also created remarkable footprint in serving pharmaceutical clients for their state-of the art manufacturing set ups, R&D facilities etc. Today, JMC is one of the leading providers of EPC services to our pharmaceutical patrons. JMC has participated in construction of some of the landmark public buildings including sports complexes, stadia, auditoriums etc. 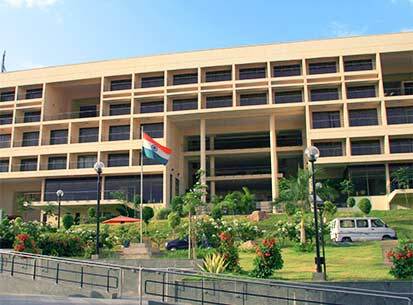 JMC Projects has undertaken various infrastructure and civic projects to help boost the tourism in India. 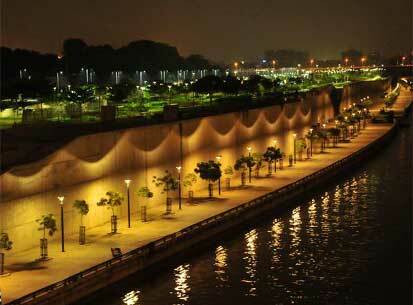 The transformation of the Sabarmati river front is one such example of an activity embarked on by JMC.